Working to start a second income to replace you job or as a stay at home mom /dad to help with the finances makes blogging for money an attractive proposition. Or may be as some people do to pay for college, make some money to pay for a holiday or pay some bills. There is a load of good reasons to start. You can fit it in around your life, make progress and it doesn’t cost too much to get started. A problem with that is that it doesn’t necessarily make money or how long is it going to take to be successful. There are lots of successful blogs out there – food, frugal living, crafts, mommy blogs, hobbies, makeup, self improvement, fitness, diets and so on. There’s a lot of choice as to what you can blog about – and that is part of the problem – too much choice. The first thing on this is to think about what you are interested in now or what you could be interested in learning more about. What do you do in your spare time or what is your job or what do you struggle with – for example you could blog about your weight loss struggle, your home improvement struggles or learning a knowledge and so on. Put a list together of the things you like or might be interested in. An alternative way is to go to Amazon and search through their categories of products to find a niche (a market segment) or look through magazines for something that interests you and something other people are interested in – it’s no point writing just for yourself if you want to make money. It is very important to choose something you are interested in writing about (if you want to stick with it long term) and others are searching for too. You want something you have some interest so you can write about it week in week out and for possibly up to a year and beyond without seeing too much money for your effort. My experience is that it can take at least that long. When choosing your topic you want to also see that people are buying products – whether that is information, digital or physical products related to the topic and there are people searching online for them. You can choose to set up a free blog that you set up on a site such as blogger. Or you can set one up that you own. A little more complicated and costs a little more than free – with you having by choosing and buying a name and then spending money to get a company to host it on their servers for you then. Then you set your site up – most people use free software to do this called WordPress. It can be done in minutes and the hosting sites like hostgator help you to do this. 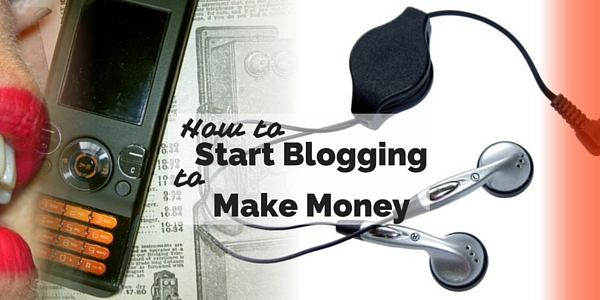 I think for a blog that you want to make money with you are best going the route of setting up your own site. Having said all that it can still seem that learning how to set up a blog is complicated at first. But in a lot of ways it is the easiest step of getting a blog online that can make money. You can find plenty of information online about how to do it. Having said that there are a number of things needed to ensure it is optimized for the search engines and protected as much as possible for hackers. If you are someone that struggles with technical stuff and worried about getting it wrong, a good paid course can help to do this all properly. It is important to have a course that is step by step with full explanations and demonstration. There are a number of different ways that bloggers get paid for their work. You can sell your own work or products to visitors by showing them on your blog, you can get paid for referring customers to other sites where they buy something (affiliate marketing) or you can get paid for someone clicking on an advert on your site (adsense). Once you have visitors to your site you want to convert them to buy or click on a link or advert depending on how you’ve decided to monetize your site. How well this is achieved depends on your content but also on the people you’ve got to your site. To get people to your blog that want to buy or more likely to buy you need to choose to write about buying keywords (words people type in when they are interested in buying or getting close to it) so that you are found for them. 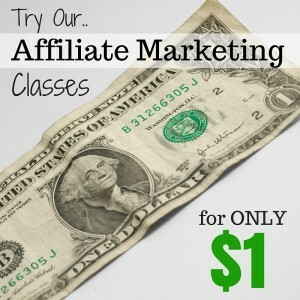 Does this cover your biggest struggles to getting started blogging and making money online? Is there something I’ve missed?